For lighter lifting, nothing beats the flexibility and reliability of boom trucks. Able to travel at highway speeds, boom truck cranes let you get to the jobsite, get set up, and get to work fast. 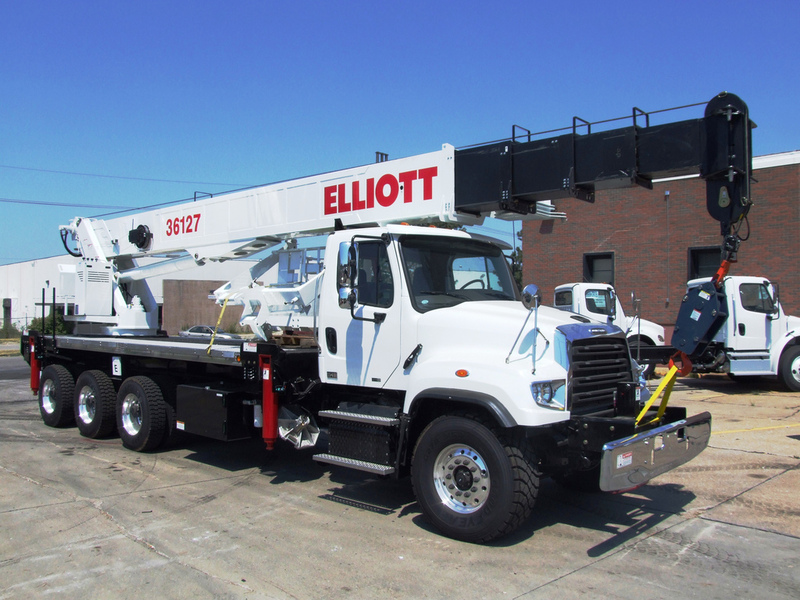 As a dealer for Terex and Elliott, ML Utilities provides Boom Trucks for rent between the sizes of 23 to 45 tons, front and rear mounted, with and without cabs.